It seems like there are so many elements that should appear at an Up party that it should almost be a no brainer party. You definitely need the Up house. You need Kevin the bird to trot by. 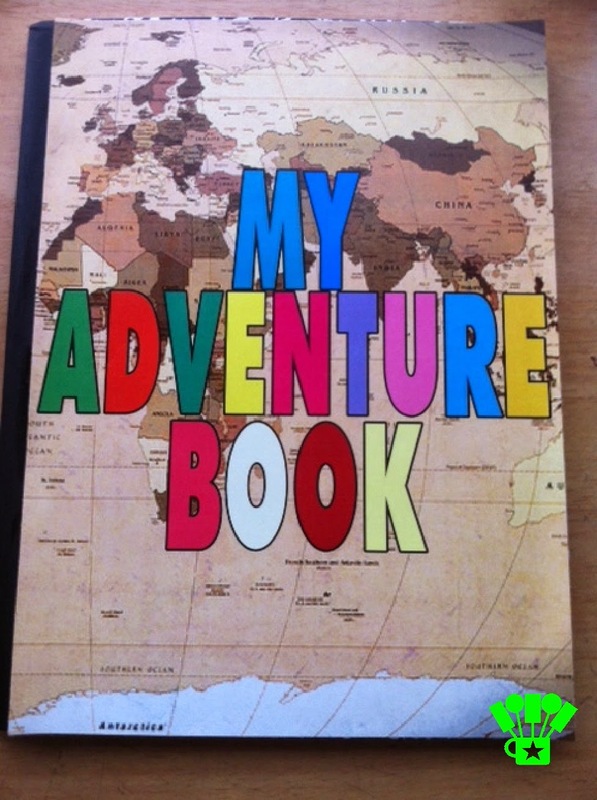 And Ellie and Carl's Adventure book should be around to peruse through. Since my party is for the young women in our church and I'm trying to get them to go Up with their Personal Progress, an Adventure book as a journal and take home favor is a great choice to give the girls. 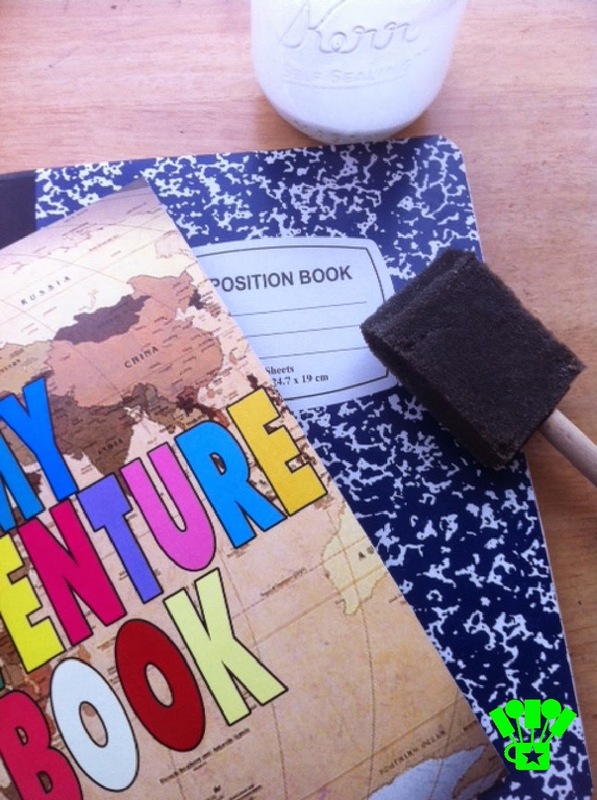 To make my Adventure book journals, I started with a composition book, the Adventure book front and back printables (found at the bottom of this post), and some home made modge podge. 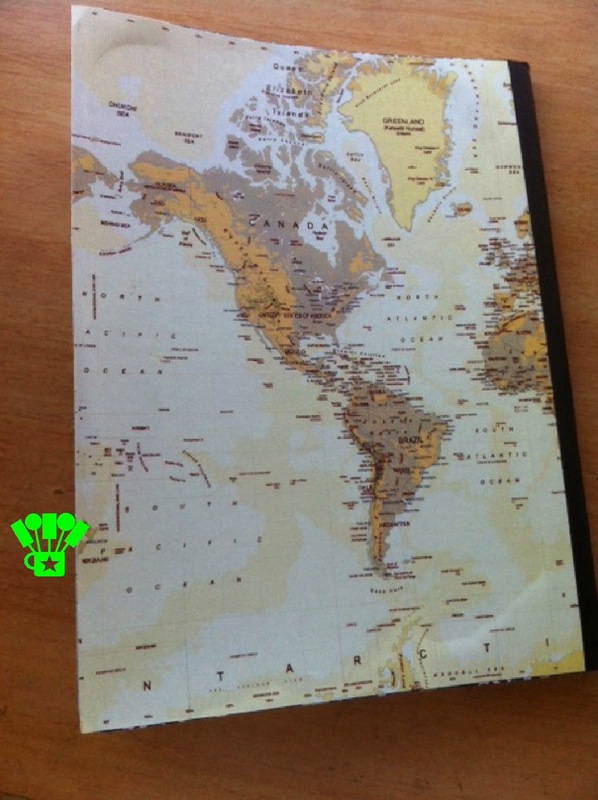 I painted the front of the composition book with the modge podge and then placed the Adventure book printable on the front by lining up the right and top edges. I wasn't worried about the left side since there was a black strip that wouldn't show the blue mottled background on the composition book. 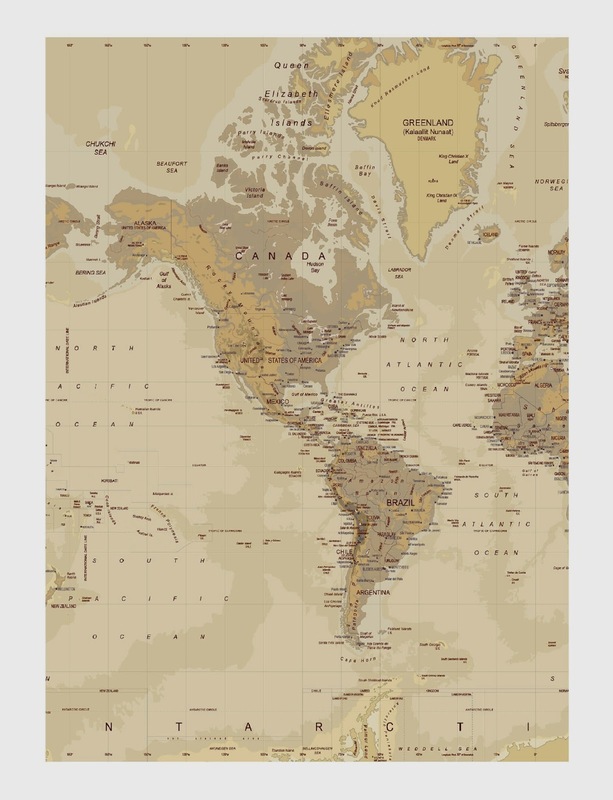 I'll be honest, I'm considering getting some cute duct tape and reinforcing the seem by placing it over the black strip on the front and back. But I need to find something that won't clash and will look super cute on the book. I haven't done that yet. 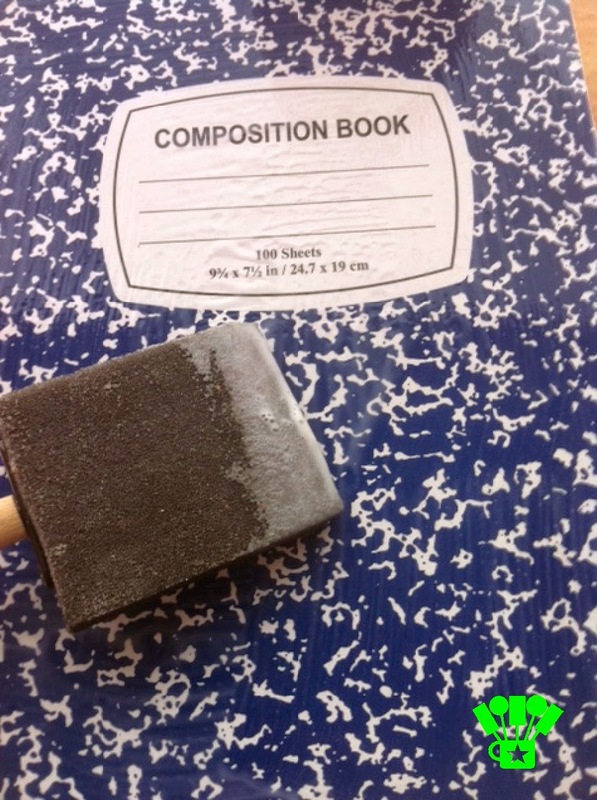 To finish off the book, I used a glue stick to glue the first page to the outside of the composition book cover, so it would open right to a double sided page. I like to use two pages to chronicle my adventures so I like that better instead of turning the page to finish out the adventure. Then I started filling the pages with the things that I've done lately. This weekend Mini Me and I went to a local popcorn store that I just discovered in the small town next to ours. I wrote about the adventure on my other blog Finding the Joy Around Us, but chronicled it in my Adventure Book smash book. 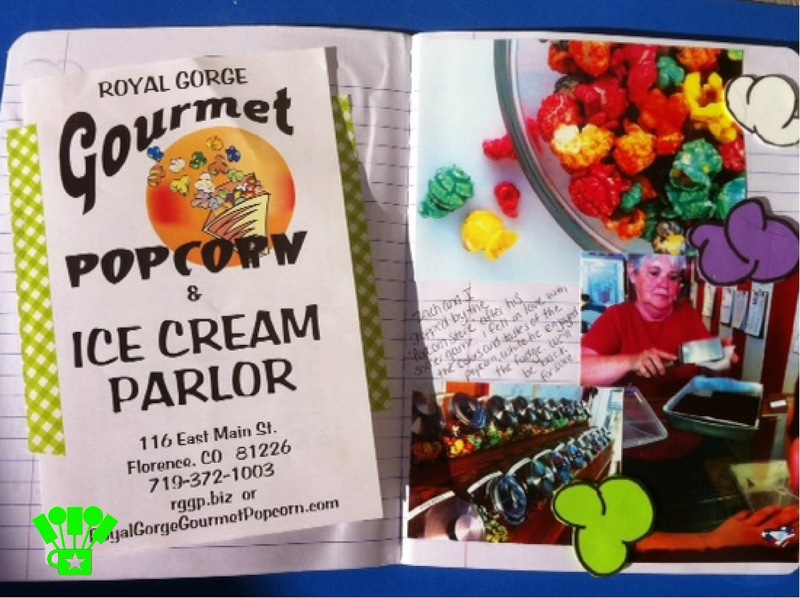 I love how it turned out with the fun foam popcorn, the colorful pictures, and the flyer that I got from the store. I'm pretty excited about My Adventure Books and hope the girls will be too. I think we can spend some time filling them out for our family history classes or our personal progress nights. Plus, they will have a fun smash book to look back on when they are old and grown like me. 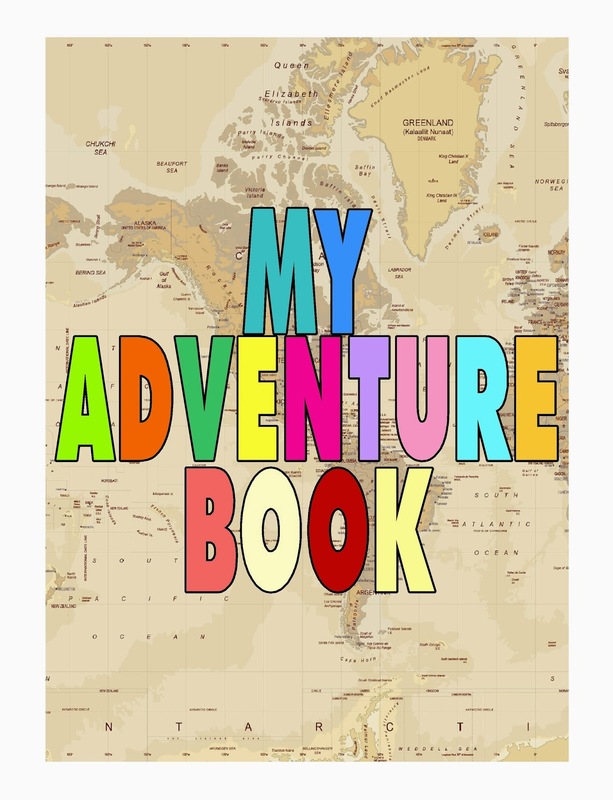 Here are the Adventure Book printables if you want to make your own! If you do, I'd love to see it.